I retired as Principal of a Post Graduate Govt. college in Rajasthan, India. At the time of retirement I had some problem with my brain. I continued to take some medicines and used Ayurvedic medicines. 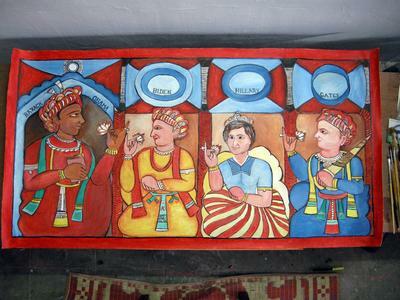 I am social anthropologist and developed skill of writing books, doing painting and making sketches. Earlier 6 books, and after retirement I wrote and published 6 books. Two books about retired artist and a lawyer. Joined Research institutes and did few projects. I joined University as guest faculty and guided Research Students. I continue to write papers and also developed ideas for painting. I have done two large paintings in oil colors. 1. 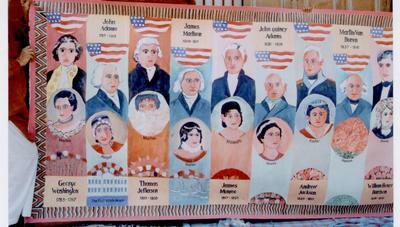 All Presidents and First Ladies of USA with symbols and dates etc on 1260x150 centimeters canvas. 2. Gandhi's life on 1290x135 centimeters canvas depicting 111 events of his life. At many places I have shown and narrated Gandhi's life to students, teachers, lawyers and judges. I prepared 10 cards and published cards on his life for collection. I have done 100 cards on wildlife for Children a few have been published. Now I require some financial support for publication of animal cards and also marketeer. I am unable to find support, but Gandhi cards are seen on American Fine arts and being seen and sold for oil painted print with frame. I organise free art classes for children in summer vacations. I believe that two interests i.e. 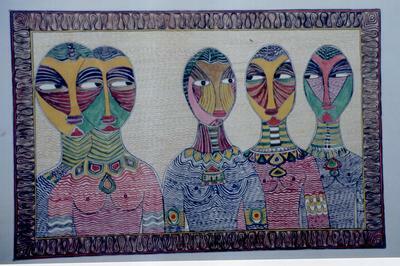 Anthropology and art helped me much as I was born in a village in earthen room and my father died when I was student. I travelled most of the continents including USA, Africa, Europe and Asia. After retirement I was invited to Chech republic, Mali and Bali. I have written on dress, Terracotta and masks, these articles are part of books. Recently my eye was operated for cataract. I have done a research project on Biogas for UNESCO which has been published and I am involving myself in implementing the biogas activity in larger scale. Fortunately I never have been admitted in hospital. I am slim and active but lost hair on head so I am Mr. BALD. I read, write and paint every day. Computer and Senior friends are my support. I lost one son in accident and only other son has lost my all money in Australia in business. I sold my all vehicles so public transport and on foot is my vehicle. I have two grand sons 8 and 12. My Daughter-in-law is teaching Sanskrit in a college but gets only US$48.00 per month. Fifty percent is spent on her travelling to college. But still I am happy my wife helps in our family work. So for creative life one should develop more than one skill. I participate in my relatives and neighbours activities. 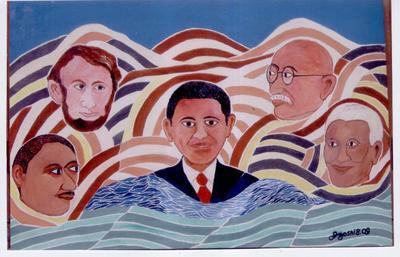 Seven paintings I sent to American Ambessy for sending to President Obama two years ago but not received any acknowledgement yet. Yes my first name is Om and prakash joshi second and third. I promoted one retired lawyer to exhibit his sketches and wrote a book about his art work. He is 87 years old but keep papers and sketch-pencils etc. He quickly prepare sketch of the person and give it to him/her free. He come and invite me when he likes. We live 250Km away from each other. I will be happy to correspond with you, I always thought to visit Poland but could not get any chance. I have hiked to Germany, France, Italy and Austria from Czeckoslovakia in 1972.